Database backup plays one of the most important roles in data protection. It provides businesses with confidence that in case of data loss, recovery time will be reduced to minimum. Database backup is one of the most complicated areas of backup, because data used in Data Base Management Systems (DBMS) is constantly modified by many concurrent users and can’t be copied without stopping the service. That’s why it requires the use of a hot backup technology which allows copying data while preserving business activities. Download Handy Backup to get use of the hot database backup! ODBC (Open Database Connectivity) is a standard of database interface independent of particular database engine. The special software called the ODBC driver is needed to use ODBC capabilities. These drivers are easy to obtain for any one DBMS/DBME and are often free or open-source. The list of features supported depends completely from the particular ODBC driver. Handy Backup can perform automatic backup through the universal Database plug-in operating with ODBC drivers, so all the features and limitations of the particular ODBC driver, including the possibility of “hot” backup, are supported. * Databases marked by asterisks can be backed up also through specialized plug-ins. Specialised plug-ins can work without ODBC drivers. See the information about specialized plug-in advantages over the generic Database plug-in below. As many database engines does not support native backup tools, the need for the universal software utility capable to backup just any single database is strong. The list of ODBC for different databases you can find here. Professional offers you a handy set of features including hot database backup software options and advanced security (FTPS and SFTP support). Free 30-days trial version! A plenty of devices for data keeping. 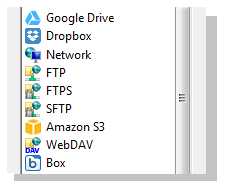 Handy Backup allows you to move your copies of data to local, removable or network drives, FTP/SFTP/FTPS servers, private and commercial cloud services (including the dedicated cloud called HBDrive.com) and other solutions. Handy Backup allows database backup not for network or corporate-level users only but to standalone computers as well. We are hope this approach to help all sorts of users organizing their backup workflow according to their specific needs! Download and install the ODBC driver suitable for your DBMS. The website containing the driver often contains a description of its capabilities including mentions of possibility to perform “hot backups” and cancelling transactions without data loss. 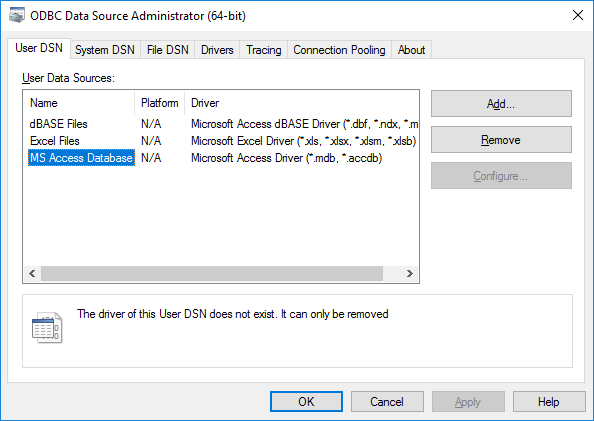 Add ODBC driver to the list of data sources using Windows “Control Panel” -> “System and Security” -> "Administrative tools". Now you can perform backup and restoration tasks for your DBMS/DBME using the Database plug-in. Just select the Database as the source of data and then check up any particular data you needed to back up. For the detailed instructions please read the User Manual section about the Database plug-in. Usage of the internal DBMS structure quirks and features can greatly speed up the job. It is almost the universal rule that specialized plug-ins can serve more effectively than the basic Database plug-in. But in some cases this rule not works, and backup operations through the Database plug-in can be more effective economically or logically than distributed plug-ins. The final choice is a matter of user-defined strategy, not of financial or technical restrictions. 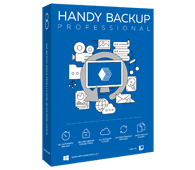 Handy Backup: professional yet cost-efficient software for database backup and recovery!